JAKARTA: An Indonesian domestic passenger aircraft carrying 54 people lost contact with air traffic control on Sunday in the remote eastern Papua region, the National Search and Rescue Agency (BASARNAS) said. 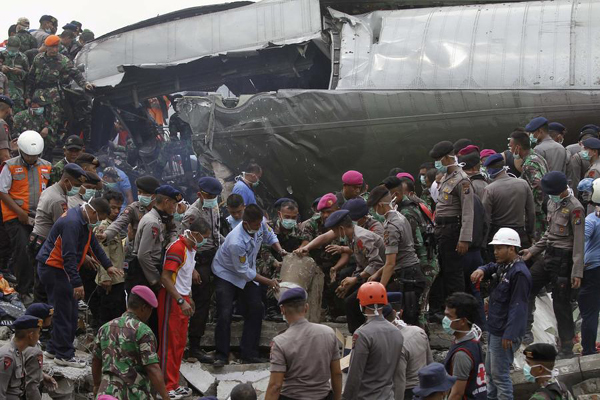 "Lost contact with plane," BASARNAS chief Bambang Soelystyo told Reuters by phone. According to the official BASARNAS Twitter account, the aircraft belonging to Trigana Air Service was carrying 44 adult passengers, five crew and five children and infants. An AirAsia passenger jet crashed en route from the Indonesian city of Surabaya to Singapore last December, killing all 162 people on board. The crash prompted the government to introduce regulations aimed at improving safety. Indonesia's president promised a review of the aging air force fleet in July after a military transport plane crashed in the north of the country, killing more than 100 people.